We had looked at several bikes and had looked around online. 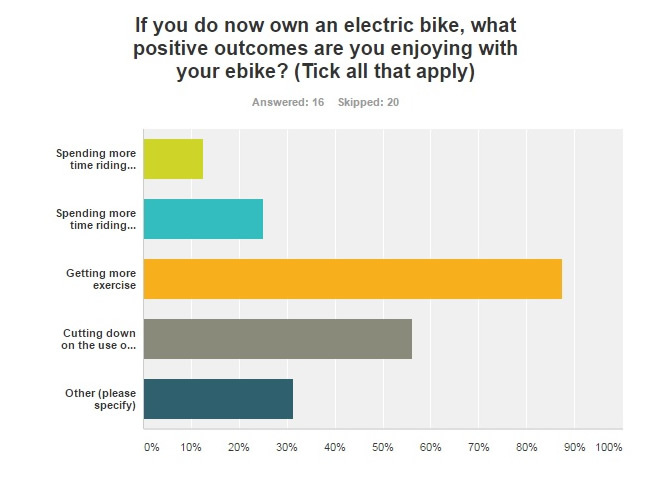 Of all the bikes we had seen, your 66STX was the only one that combined all of our requirements and preferences. 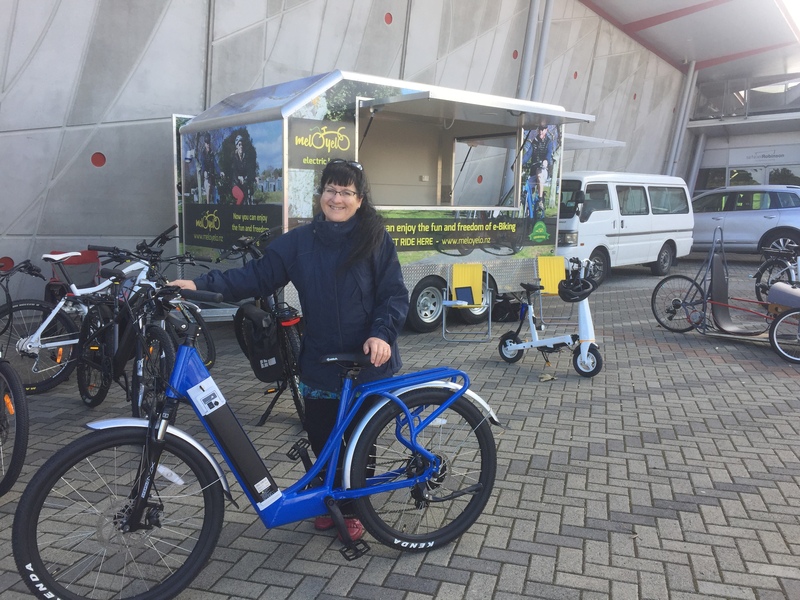 As you know we bought a 66STX electric bike from you at the Auckland EV expo recently. I just thought I would send you an email giving our reasons for buying this particular bike, and our impressions so far. We had looked at several bikes and had looked around online. Of all the bikes we had seen, your 66STX was the only one that combined all of our requirements and preferences, so after we had both ridden the bike and liked it we decided to buy one. We have been very happy with this decision. My wife really enjoys riding it and we have had no problems. Most mornings we ride before breakfast, and these rides are getting longer as she builds up confidence and fitness. On the weekends we have ridden most fine days, increasing the distance to over 20km last weekend, something that we would not have considered if she had been on a normal bike. After the 20km ride, the battery was still showing ¾ full, so we get several days of riding between charges. She normally rides on assistance level 1, occasionally raising to level 2 for strong headwinds or 3 for steeper hills. There are still two levels to go. I doubt they will see much use! Other than adjusting the height and angle of the saddle the only thing we have had to do is check the tightness of the screws on the handlebar mount as one had come a bit loose. The better-than-average toolkit supplied with the bike allowed me to check all the fasteners on the bike. One unexpected thing: when I am riding with her on my ordinary mountain bike, even with my tyres pumped up to a higher than normal pressure, the rolling resistance of the electric bike is lower than my mountain bike. When she is coasting without pedalling on gentle downhills I have to pedal occasionally to keep up! So obviously the hub motor is not creating drag while coasting. The standout feature is the torque sensing: it is very easy and natural to ride, noticeably smoother and more effective than the cadence-sensing bikes we had test ridden. The only significant problem is that now I am struggling to keep up with her!